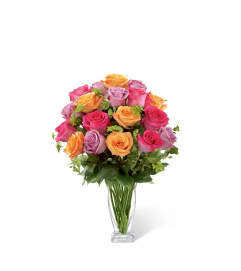 The FTD® Best Day™ Bouquet is ready to create a moment your recipient will always remember! 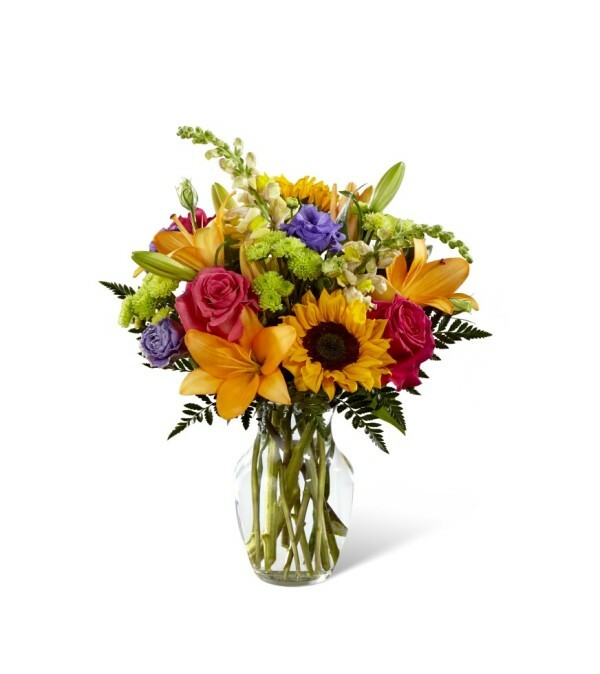 An instant mood booster with it's mix of bright bold colors, this gorgeous fresh flower arrangement brings together sunflowers, hot pink roses, purple double lisianthus, orange LA Hybrid Lilies, yellow snapdragons, green button poms, and lush greens to make this day, their best day. 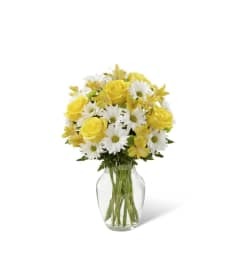 Presented in a clear glass vase, this fresh flower arrangement is made just for you to help you send your warmest birthday, congratulations, or get well wishes to your favorite friends and family.